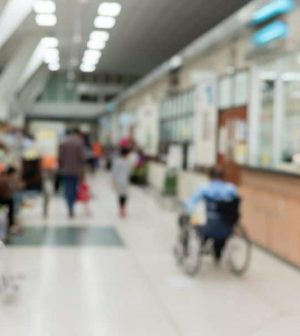 “Eyeballing” emergency room patients may be better than a formal medical assessment in identifying those most in need of urgent care, a new study suggests. Nearly 6,400 patients seeking ER care were assessed over three months. Nurses used an established triage protocol to determine which patients were the sickest, while medical students and phlebotomists (blood collection specialists) made their decisions by simply looking at the patients — “eyeballing” them. “We need to ask ourselves in these days of rising medical costs and rising patient numbers if we can afford to continue doing it the way we have always done it if we can do it just as well or better a simpler way,” journal editor Dr. Ellen Weber wrote in an accompanying editorial. She’s a professor emeritus of emergency medicine at the University of California, San Francisco. The study was conducted in only one ER and used a triage system that’s not widely used internationally, but it “should make us rethink our current process and the evidence behind it,” said Weber. Structured triage, she added, doesn’t distinguish between patients with conditions that may become much more serious from those who may require some fluids and can then be discharged. “We have adopted complex systems that take up the time of highly qualified nurses, potentially delaying care, to create what is probably, at best a ‘meh’ result,” Weber wrote.